We offer exclusive luxury Country Tours in our fleet of premier vehicles. Our drivers provide guided tours of fascinating venues ensuring a truly memorable tour in Ireland. Country tours can be planned and organised to ensure you see and do as much as possible within a particular time schedule. There is an almost never-ending list of must-see places around Ireland, and we will make sure you see the best of them! For those who would love to see take in the famous 40 shades of green of our lush & rain-fed Irish countryside, we offer our Country Tours where your will experience everything from the Wild Atlantic Way, to the rocky magnificence of Connemara, to the rolling might of the Kerry mountains and the lush sweep of the midland plains west of Dublin. 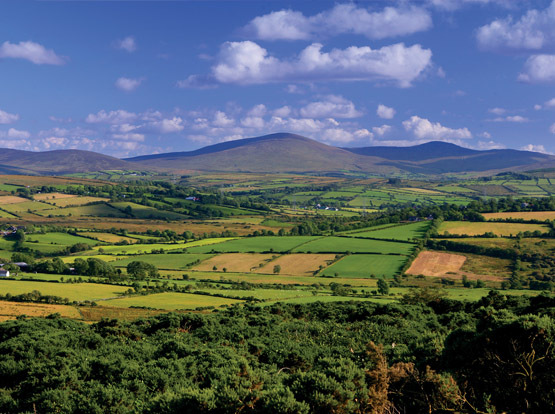 Ireland has a truly beautiful countryside – our ancient landscape has been sculpted by ancient glaciers and the forces of the Atlantic-driven wind and rain over the centuries. This has left a truly lush and luxuriant landscape filled with greenery and colour – you will find yourself unable to do anything but relax in such a beautiful landscape. Our company can advise on matters of accommodation, restaurants, and places of interest to visit or simply allow you to experience and enjoy everyday Ireland as you drive through the countryside at your leisure. No matter what you require we will ensure that you are left fully satisfied. We will take care of all your needs while you relax and enjoy your trip around our beautiful countryside.